Struggling to find the ‘right’ present? Visit this designer shopping village and prepare for serious retail therapy! Originally the headquarters of the Mulberry empire, there are now other stores such as Jack Wills, L.K.Bennett, Toast and Garden Trading and brand names like Sophie Conran and Whistles. 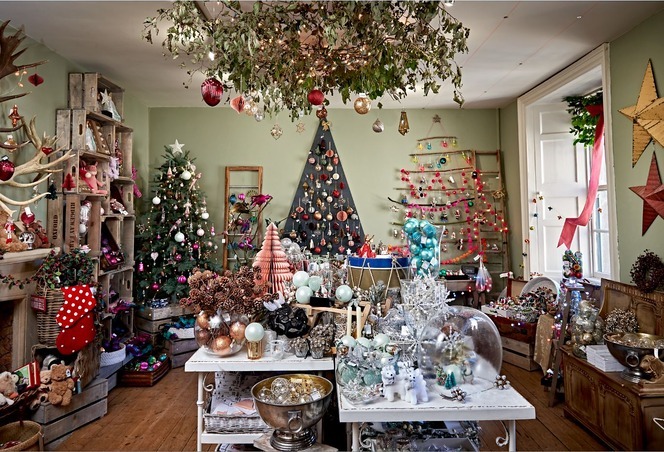 This Christmastime, The Great House has a magical collection of seasonal delights, with iridescent humming birds, sugar mice and hand-blown Egyptian glass baubles to decorate your tree, fine wines, whiskeys and gourmet treats and classic vintage style children’s toys. And when you’ve shopped til you drop, gloat over your finds with a spelt mince pie beside the open fire in the café. Keep your eyes peeled for some cuddly festive friends as you explore the museum. 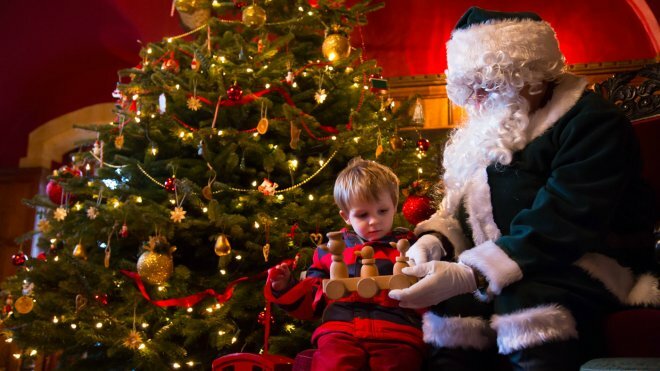 On Saturdays during December and on 21st December you can also meet Santa when he stops off at the beautiful Almshouse Grotto (and we’ve been reliably informed he’s bringing a sack of presents). On 10th and 20th December you’ll be serenaded with Christmas music and singing, and Lego fans are in for a treat on 29th and 30th December when there will be a Lego Christmas train and you get to play with the bricks! This dramatic hill top castle is spectacularly lit and dressed for Christmas, each room decorated on a theme from Victorian times until the 1950s. Take a winter stroll around the grounds which have been special lit, then stop off at the National Trust shop in the old stables to stock up on some last minute gifts. If you visit between 17th and 19th December you may even spy Father Christmas cosy in his castle grotto. 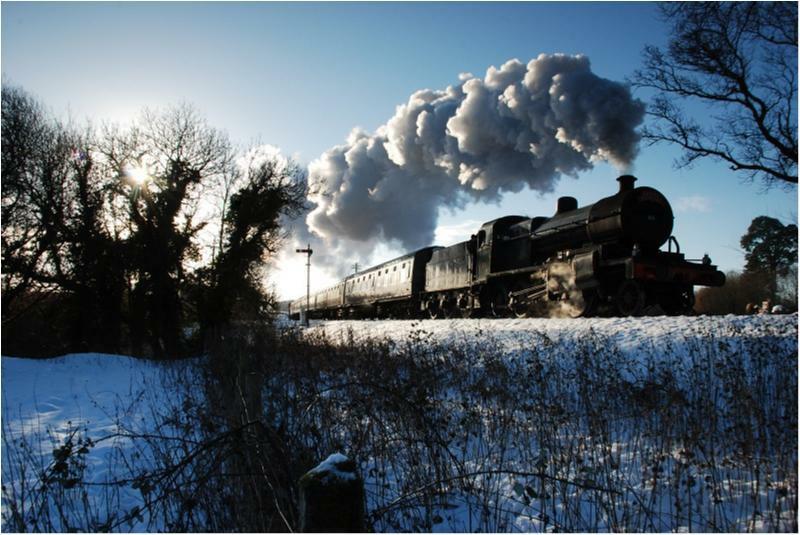 Take in the fabulous winter wonderland scenery from an old steam train when you chuff along the Exmoor coastline between Minehead and Blue Anchor. At Blue Anchor, Santa will be waiting to welcome you to the fireside with a present for the children, then back on board to head home to your cottage with a mince pie and festive tot en route. Come to the seaside and follow the snowy footprints along the Grand Pier to the winter wonderland with its moving penguins and polar bears. Santa’s reindeer and elves will guide you down the enchanted path to the grotto where you’ll meet the man in red and get a present – if you’ve been good! Santa needs your help! 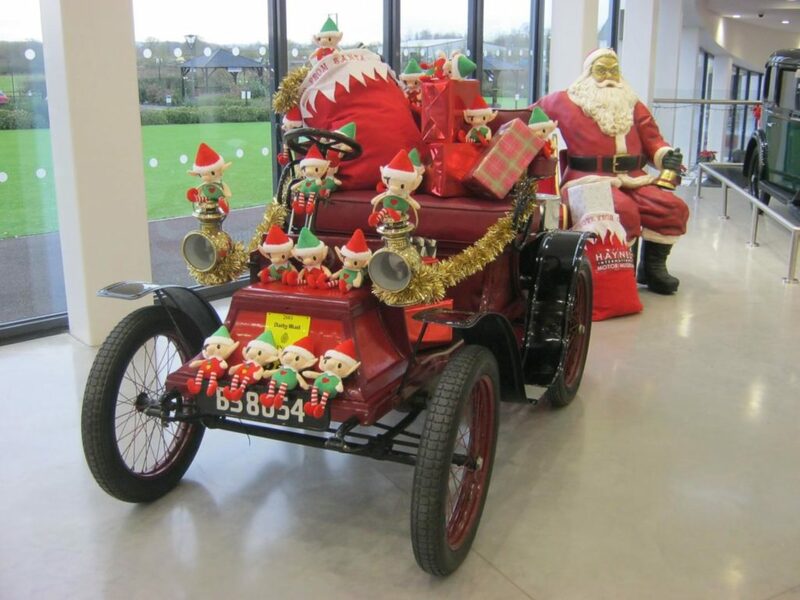 In all the excitement of wrapping presents for Christmas Eve, some of Santa’s elves, who are more familiar with meek reindeer than the powerful engines at this amazing museum, have got lost amongst the motors. Collect a trail sheet from reception and seek out the lost elves to restore order to Santa’s workshop and ensure a happy Christmas for us all. Get your skates on, we’re slip slidin’ away! This is the biggest ice rink in the South West at over 1,000 square metres – fun guaranteed! And until Christmas Eve, Santa’s enchanted ice castle is a spectacular display. 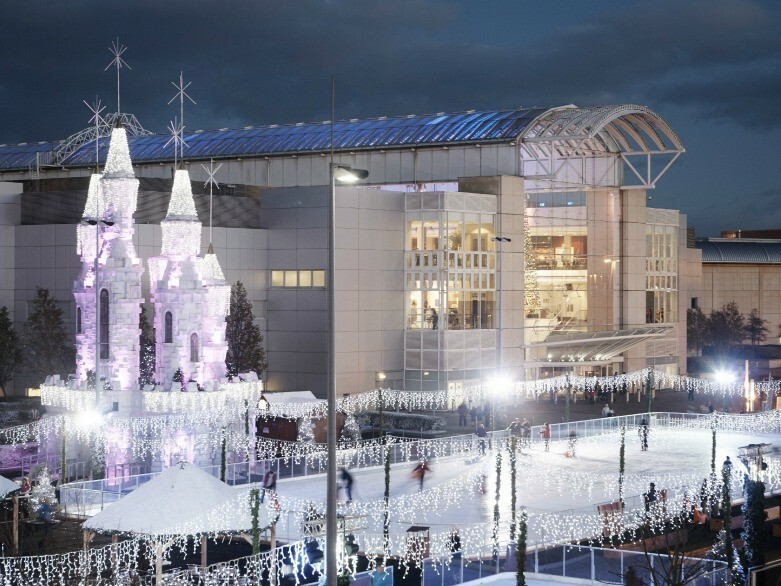 The rink is surrounded by over 150 stores, so you’ll have an opportunity to do some last minute shopping too – maybe pack the family off to the 12 screen cinema whilst you browse. Wrap up warm for the festive outdoor ice rink in Royal Victoria Park in the heart of Bath. Or, if you’re more baby giraffe than Torville and Dean on the ice, head next door for a bright hole in one with the mini golf that really does glow in the dark. And when you’ve worked up an appetite, there are wood-fired oven pizzas and gourmet fries to keep you happy. Visit on 11th December and you can head off to the Bath Christmas Market for some atmospheric shopping too. Visit the magical winter wonderland hidden deep beneath the Mendip Hills and make your way through a festive display of lights and snow scenes to Santa’s grotto. Some of the caverns have only been discovered and opened this year, so there’s lots to explore and marvel at.